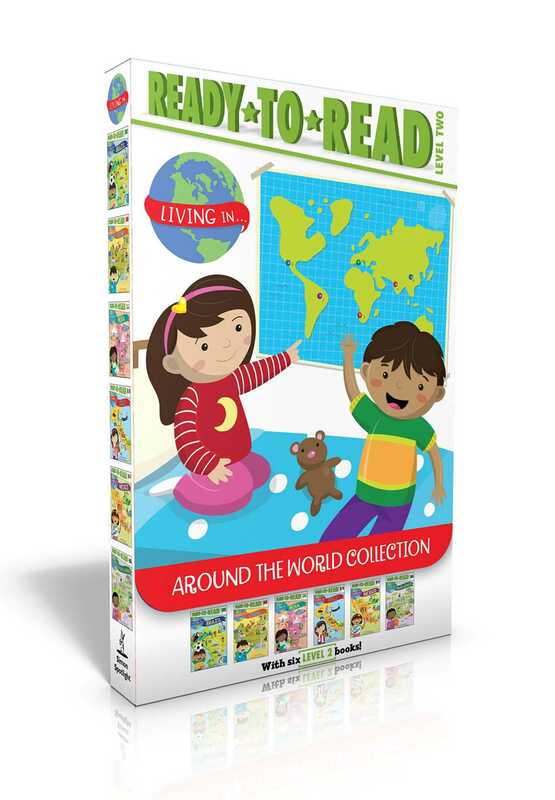 Discover what it’s like to grow up all around the world in this fascinating, nonfiction Level 2 Ready-to-Read series all about kids just like you in other countries! Ciao! Oi! Ni hao! ¡Hola! Dumela! Namaskar! Do you want to take a trip around the world? Now you can with the first six books in the Living in series, all in one beautiful boxed set with a carry-along handle! Discover Brazil, China, Italy, India, Mexico, and South Africa through the eyes of kids just like you. Swing by South Africa for a game of rugby, explore the ancient history of Italy, take a tour of Brazil’s biggest cities, and learn how to celebrate Diwali in India, the Day of the Dead in Mexico, and the Dragon Boat Festival in China…all before dinnertime! Tom Woolley is an illustrator who works on children’s books and colorful maps. He lives in the historic City of Bradford in West Yorkshire in the United Kingdom. When not busy illustrating, Tom likes to ride his bike and loves to travel and explore new places.